Nigeria wrapped up their 2019 African Cup of Nations qualifier on a high following their 3-1 win over Seychelles at the Stephen Keshi Stadium in Asaba on Friday. Goals from Odion Ighalo, Moses Simon and Henry Onyekuru handed the Super Eagles maximum points as they finished tops of the log with 13 points. 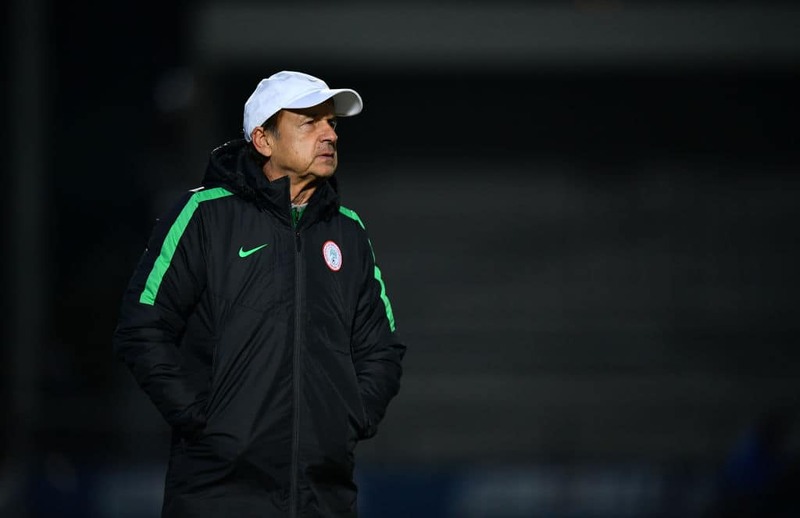 Rohr, after helping the three time African champions stage a return to the continental championship admitted that he knew the game against the Pirates would be difficult. He further insisted that they must improve on the mistakes encountered during the game before the competition proper in June. "We knew that it would be a difficult match because it was not the same team from Seychelles. They started preparations very early in March and seven new players were invited," Rohr told media. "The players knew that we have to expect a difficult match, they only defended. It was attack, defense so we tried to come in from the wings. "We scored the first goal through a penalty, then there was an individual mistake that can happen to anybody. "In the second half, we scored two nice goals. They did the job, we wanted to win the game and finish top of the table which is very important for the Fifa ranking and be the head of the group at the AFCON. "A lot of mistakes still in the construction of the game we have to improve, I could see some interesting players. It was good to see everybody again after four months." Next up for the Super Eagles is a friendly game against Egypt on Tuesday at the Stephen Keshi Stadium. Legit.ng earlier reported that a goal each from Odion Ighalo, Moses Simon and Henry Onyekuru handed Nigeria maximum points as they wrapped up their AFCON 2019 qualifiers with a win. The Super Eagles finish top of Group E with 13 points after six matches ahead of South Africa and Libya and not forgetting the Pirates. Gernot Rohr's men got the game started on a shaky note as the visitors' game plan led them to force the hosts to 1-1 in the first half.